ALL.BIZ Canada Canada products Automatic machinery and equipment Automated control systems Industrial computers and workstations Industrial computers Industrial Computers TermiCom SE-15"
Totally sealed computer with very good performance for industrial environments. 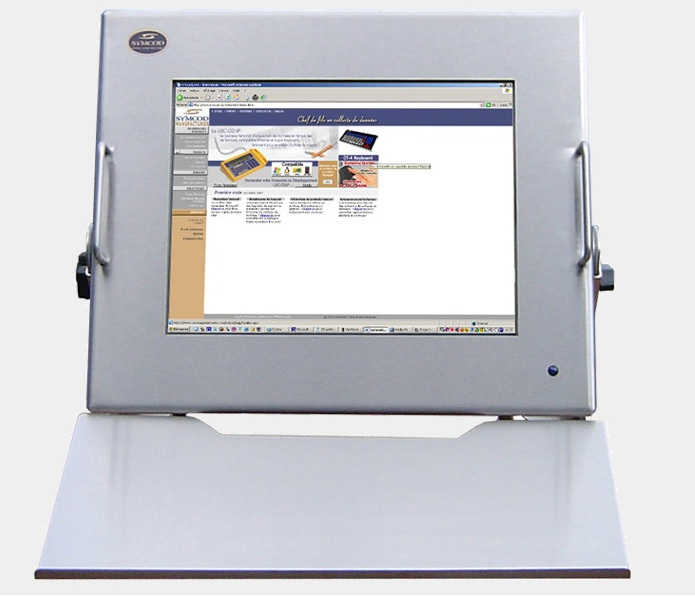 The base configuration is a color LCD screen TFT 15 inch resistive touch screen and a Intel Atom 1,6 GHz processor. A Teflon tip pen is available to point precisely on the touch screen. In option, you can order a WiFi 802.11b RF network interface. The sturdy stainless steel case for industrial environments (totally sealed) can be wash down. Technology allows you to use a standard USB connectors ! The stand provided with the SE TermiCom can be used in a wallmount or desktop position. Once fixed, the angle of the TermiCom can be easily adapted to the needs of each user. In option, you can add a stainless steel keyboard shelf. Many ports are available to connect peripherals like, industrial keyboard, barcode reader, proximity reader, etc... You can protect the Flash drive completely to prevent deleting or modifying the operating system or your application.